This is actually the default view in your Microsoft Outlook Inbox, but the view can sometimes be changed inadvertently. When that happens, many people struggle to work out how to get it back. Although it is quite an easy change to make, if you don’t know how, it can be very frustrating. 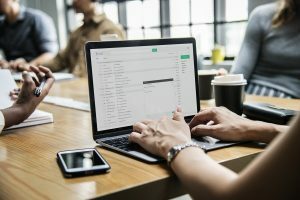 Recently I received this exact request, so I decided to write a short article showing people how it is done. The default view in your Microsoft Outlook Inbox is usually as shown in the picture below. (Although you might note that I don’t use any “Preview” options. I only see the Email Subject… but that’s another subject for another day!) Anyway, my Inbox as shown below is “Arranged by Date” (date received) and grouped by the date also….or “Show in Groups”. (Today/Yesterday/Last Week, Last Month etc). So now as you can see above, my Email Inbox is “Arranged By Date” (Received) which is good, but my emails are not grouped in any way. This makes it a little harder to manage emails effectively as it is not easy to see exactly when emails have arrived. There are a few ways to change this but I will show you the quickest way this can be done in the first instance. 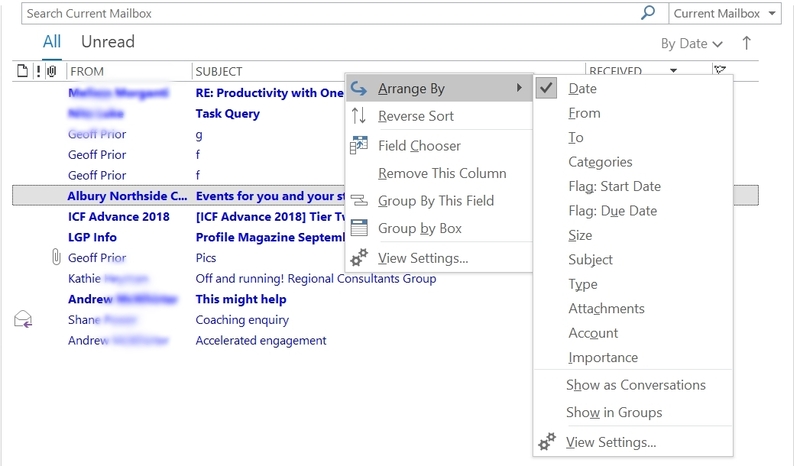 Now, to show your emails in groups, you simply scroll down with your Mouse to “Show in Groups” and select that option also as shown below. Notice how now, with the Show in Groups option ticked, my emails are now grouped according to the Arrangement I have selected. In this case, “Date”. By the way, had I chosen to arrange emails by “From”…then my emails would be grouped by Sender. That’s how this little handy feature in Microsoft Outlook works. If Date is not already selected as shown above, then select “Date”. Next, Left Mouse Click on the right hand side of the “Arrangement” group of Icons (see the Purple Arrow above) to reveal more options as shown below. 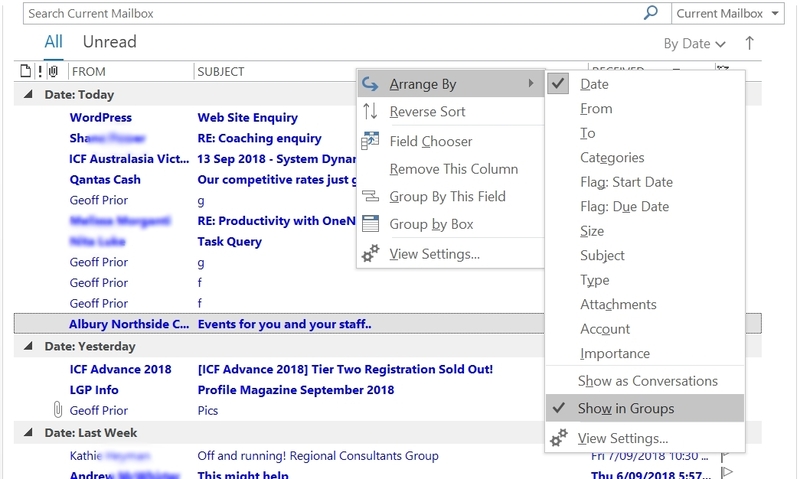 Finally, select “Show In Groups” and now emails in your Outlook Inbox will now be organised by Date and “Shown in Groups”. I hope that is easy enough to follow. If you still struggle or have a question, feel free to contact us and ask your question. For many more tips like this, check out what we offer in our Productivity Training or Productivity using Outlook Training.